Can you confirm these amateur observations of Phelsuma abbotti? Distribution Seychelles, N Madagascar, Aldabra, Nossi Be = Nosy Bé, Nosy Mamoko, Nosy Mitsio, Nosy Sakatia, Nosy Tanikely, Nosy Komba, Assumption-Islands, Amirante Islands. Comment Malagasy subspecies are attributed to P. a. chekei. Phelsuma (abbotti) pulchra has been treated as a synonym of P. sundbergi. 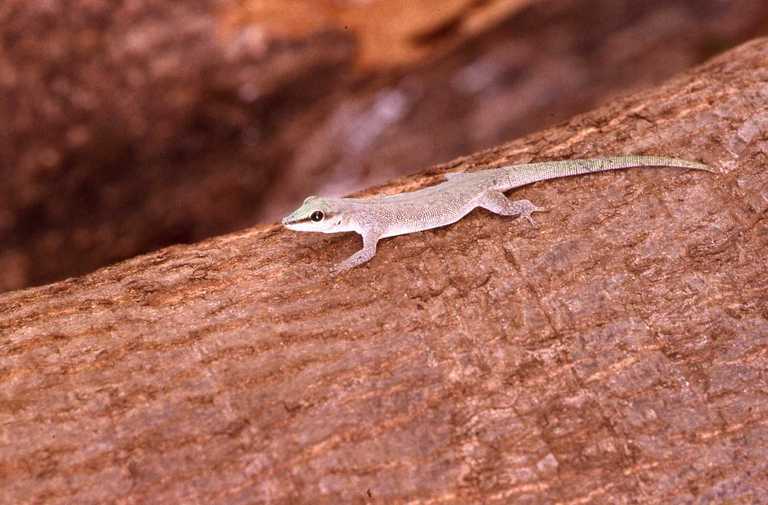 Member of the Phelsuma guttata (phenetic) group (GLAW, VENCES & ZIEGLER 1999). Etymology Named after Dr. William Louis Abbott (1860-1936) american naturalist,physician, and collector. Börner, A. R., and W. Minuth. 1982. Advance diagnoses of new taxa of the Phelsuma madagascariensis Group. Miscellaneous Articles in Saurology (11):1-4. Raxworthy, C.J. & R.A. Nussbaum 1994. 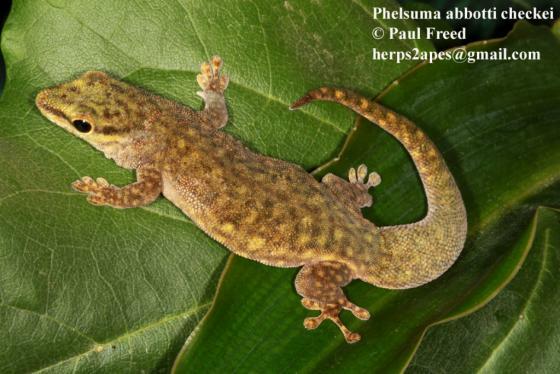 A partial systematic revision of the day geckos, Phelsuma GRAY, of Madagascar (Reptilia: Squamata: Gekkonidae). Zool. J. Linnean Soc. 112 (3): 321-335.